Charles Gaba has posted an all-new Health Wonk Review: ACA Anniversary Edition! at the ACASignups.net blog. It’s an eclectic and robust issue covering an array of topics. Charles is a new host to HWR and we are delighted with his participation – particularly on this, the 6th anniversary of the Affordable Care Act. Health wonks, policy analysts and the mainstream news media alike all turn to Charles and ACASignups.net to track enrollments in the Affordable Care Act, aka Obamacare. In addition to numbers tracking, his site’s blog is a favored stop. Go there to check out this week’s Heath Wonk Review but also to poke around his site. If it’s not a regular bookmark yet, it should be! From 2002 to 2013, the rate of serious workplace violence incidents (those requiring days off for an injured worker to recuperate) was more than four times greater in healthcare than in private industry on average. In fact, healthcare accounts for nearly as many serious violent injuries as all other industries combined. Recently, Susannah Levine reported on the challenge that healthcare facilities face in her Risk & Insurance article, Hospitals Struggle with Security Risks. The article discusses the pros and cons of an armed approach to healthcare security, as well as the insurance implications of various risk management and security measures. Liability insurance may be a determining factor as to whether healthcare facilities opt for armed security or rely on less lethal tools like Tasers and sprays. “Barry Kramer, senior vice president, Chivaroli & Associates, a health care insurance broker, said that armed security in health care settings is more of a risk management concern than a coverage issue. “It would be highly unusual for our clients’ liability policies to exclude claims involving security guards, whether or not they’re armed with guns,” he said. He said many health care risk managers are not equipped to manage exposures associated with licensing and certifying guards or registering the facility’s own firearms. To protect their corridors, 52 percent of medical centers reported that their security personnel carried handguns and 47 percent said they used Tasers, according to a 2014 national survey. That was more than double estimates from studies just three years before. Institutions that prohibit them argue that such weapons — and security guards not adequately trained to work in medical settings — add a dangerous element in an already tense environment. They say many other steps can be taken to address problems, particularly with people who have a mental illness. Rosenthal contrasts the approach of Boston’s Massachusetts General Hospital, where the strongest weapons its security officers carry is pepper spray to that of the Cleveland Clinic, which has its own fully armed police force and also employs off-duty officers. Meanwhile, as risk managers struggle with the dilemma of whether to arm or not to arm, patients and visitors are often armed, enabled by state and local gun laws – just one more factor that healthcare facilities are coping with. At of the beginning of the year, Texas law allows for guns in state mental health hospitals. Campus Safety Magazine reports on how Kansas College Hospitals are preparing to allow guns on campus to comply with a new law. Gun laws in health systems vary by state – while a federal law bars guns from schools, there is no such law about firearms in hospitals. This year’s conference was an interesting blend of hard data and subjective debate. On the hard data side we learned the preliminary results of some studies addressing what most in the business consider to be the key issues of the day, and they are all medical (a position with which I do not agree, but, admittedly, I am a minority of one). Some of the studies produced results that validated what I like to think of as the “Duh!” conclusions. These are conclusions that seem totally logical and predictable, conclusions reached by mere intuition. Trouble is, policy, at least good policy, should be based on verifiable evidence, the kind that these “Duh!” studies produce, and not by intuition. For example, workers’ compensation pays providers better than group health, in some states way better. So, it is logical and intuitive to believe that providers in those way better states would categorize soft tissue injuries as work-related rather than group health if given the chance. And, what do you know? Preliminary results from one of the studies put “You betcha” to that one. So, cost shifting happens, and now we have proof, proof that policymakers can cite as they suggest system improvements. Subjective debate was alive and well in the two Opt-Out panels. There were eight panel presenters, and only one of them, Elizabeth Bailey, from Waffle House, Inc., produced any data. As I wrote during the conference, Ms. Bailey presented data on cost savings Waffle House achieved since Opting-Out of Texas workers’ compensation in 2002. The savings were impressive, indeed, but, as attendees pointed out during the question period, Waffle House has made other workers’ compensation, safety and employee involvement improvements since Opting-Out, so it’s hard to say just how much Opting-Out has contributed to the cost savings. In other words, Waffle House’s cost savings may be nothing more than a painted hook on which Opt-Out enthusiasts want to hang their collective hats. More study is needed. Let’s hope it happens. And let us not forget Bob Hartwig, the illustrious outgoing President of III, the Insurance Information Institute. Dr. Hartwig, who delivers presentations at Gatling gun speed, spoke on the Sharing Economy, or, as Hilary Clinton calls it, the Gig Economy. His formidable presentation was entertaining, educational and scary all at the same time. The Gig economy is bigger than anyone thinks, and is growing swiftly. And, as you might imagine, Millennials are deep into it. This is a movement that has the power to change an economic system. Hartwig suggested that the days of AI, Artificial Intelligence, taking over America’s jobs are farther in the distance than have been predicted by AI experts. His position is one with which I, respectfully, disagree. I think we’re closer to a cataclysmic shift than he believes. To put a point to that, Gary Anderberg, Senior VP of Analytics for Gallagher Bassett, suggested, no, pronounced, during the question period that all of the WCRI attendees could be replaced given today’s Watson-like technology. That’s heady stuff. Bob Hartwig now moves to a professorship at the University of South Carolina, and the students in the Finance Department have no idea what is about to hit them. I predict his classes will be over-subscribed from the get-go. Hope to see you at next year’s WCRI conference, March 2nd and 3rd in Boston. Grab a coffee and head over to David Williams’ Health Business Blog for this week’s dose of health wonkery: Health Wonk Review: Tales of the Trump. And while there, don’t miss David’s 11th blog birthday roundup of best posts from the prior year. If you didn’t make it to the conference, no worries. You can follow along with a list of people who are live tweeting the conference. Opt-Out is flawed and should not be enacted. You know where Mr. Wood stands. Ms. Bailey described how Waffle House has increased its safety and health efforts while providing equivalent benefits as those required by the workers’ compensation statute. The company’s economic results are certainly stellar, but at what cost to employees? We were left wondering. However, as David Deitz pointed out in the question period, Ms. Bailey was the only Opt-out presenter who “presented” any data. The third presenter, Alan Pierce, is a Massachusetts plaintiffs attorney, but that doesn’t begin to describe his standing in the legal community. He is one of the nation’s foremost advocates for injured workers and is the past chair of the Workers’ Compensation Section of the American Bar Association and the Massachusetts Bar Association. As expected, he offered an eloquent precis suggesting that workers’ compensation is not a benefit, but rather an employee right. He, too, cited the 1972 National Commission pointing out that most of its recommendations have never been adopted. Mr. Pierce is always interesting. The last presented was Oklahoma Insurance Department Chief of Staff James Mills. I was somewhat surprised to hear him defend the Oklahoma Opt-Out statute. Essentially, Attorney Mills said that he was open to any program or law that might have the chance of benefiting both employers and employees and likened the statute, which had 57 legislative authors, to some other ideas that needed time to grow and prosper. Who knows? Maybe that’s what will happen to Opt-Out. But I wouldn’t hold my breath waiting for that to happen. The afternoon of WCRI’s 2016 Annual Conference was devoted to Opt-Out. The first of two sessions was a Point-Counterpoint exercise. Trey Gillespie of the Property & Casualty Association of America led off. To Mr. Gillespie, with Opt-Out it’s 1910 all over again. He described Opt-Out in Texas and Oklahoma as allowing employers to deliver sub-standard care to injured workers without government oversight. Showing stark contrasts between what is allowed in Opt-Out and required in workers’ compensation, he suggested that employees were at the mercy of employers, which could sometimes be good and sometimes be bad. Opt-Out’s a kind of Employer Personal Responsibility Plan. Bill Minick, of PartnerSource, followed with a presentation in favor of “Options to Workers’ Compensation.” Minick has been the loudest proponent and most significant advocate for Opt-Out. He and Opt-Out were the subject of a Propublica investigative journalism story late last year. He described Opt-out as a substantial improvement on a failed system and painted a picture of employers being able to provide better care for injured workers at less cost, because regulatory and bureaucratic requirements have been stripped out. 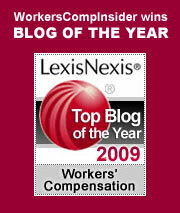 Essentially, Minick claims that the workers’ compensation system makes employers go from Massachusetts to Rhode Island by way of Alex Swedlow’s California. He’d rather just drive the 30 miles down Route 95. My basic problem with Opt-Out, wherever it is, is that some employers with resources and good intentions welcome the chance to design their own injury benefit plans that will provide benefits at least as good as traditional workers’ compensation at significantly less cost. This, in itself, is a good thing. Some large employers in Texas, such as Costco, seem to have done that. Trouble is, not every employer is Costco. As I wrote when I evaluated Opt-Out in 2014, I’m concerned about Kenny’s Citgo, down the street and around the corner, where Kenny and his five hourly workers labor without the benefits of a mandated workers’ compensation plan, because Kenny has Opted-Out. There are more Kenny’s than Costcos.